Is it her hair or is it a Tiffany? Hundreds of wigs available immediately! Now you can wear a Tiffany wig created just for you made to the same standards we have established over our forty years of wig making. 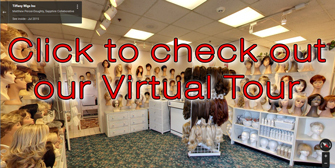 Our custom wig creation process begins by taking your measurements. These serve as the basis for hand-fashioning your wig cap. Our professional staff shapes the cap to assure an exact fit and a perfect final appearance for your custom fit wig. Our goal throughout the entire creative process is to assure you of a perfectly fitted, carefully stylized wig that will meet and exceed even the most critical tastes. Our expert team meticulously constructs your wig to look natural and beautiful so you will look (and feel) natural and beautiful. 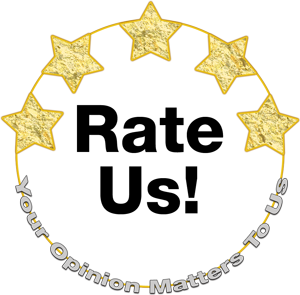 Your confidence and satisfaction mean the world to us; it's our sole business to make sure you love your wig and the way you look in it. What sets our creations apart from others is the quality and natural looking appearance you're seeking. The art of fashioning a custom wig that reflects your personality and your taste is our commitment to you. You'll find all the information you need on our website, along with answers to the most commonly asked questions about our services. If you have any other questions, please feel free to contact us. Don't settle for less than the best. A Tiffany Wig creation is a perfect reflection of you.